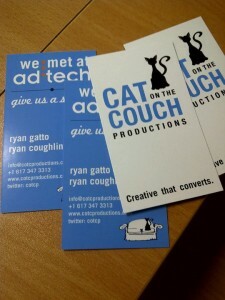 This week the Cat on the Couch team will be heading to New York City for Ad Tech NYC 2010. In preparation for the occasion we developed specifically tailored business cards for the trip. Take a look and feel free to tell us what you think.